Celebrate the oldest motor race competition still running. 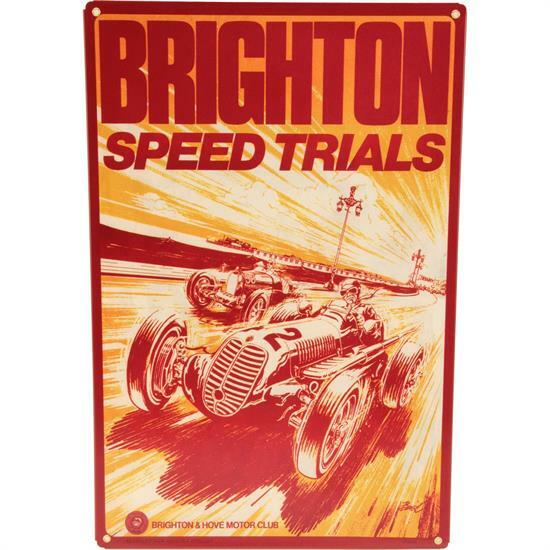 The Brighton speed trials originated in 1905 and roars on each September. This traditional race flyer tin adds some speed to your garage art collection.